It’s Manchester United vs Barcelona, and Old Trafford will bear witness to the quarter-final clash. These two sides have featured in some of Europe’s most dramatic games, and the goals have always been plenty. 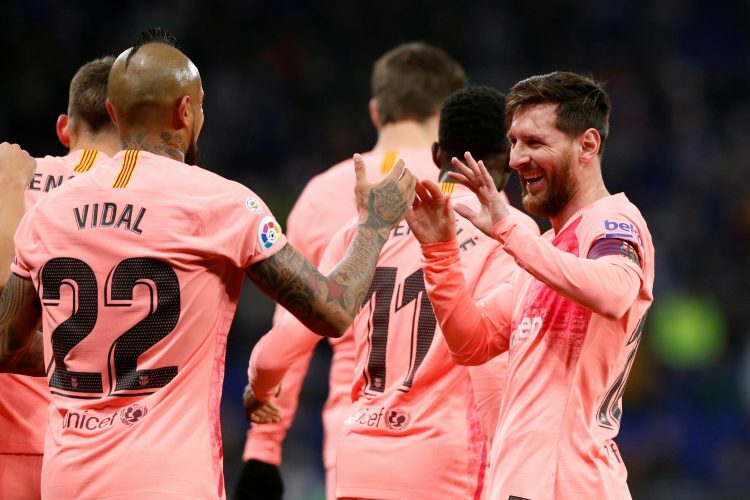 Lionel Messi is the man to be stopped if Ole Gunnar Solskjaer and company wish to go into the second leg at the Camp Nou without any massive woe to worry about. Injuries may not be that big of a concern for the home side, as has been the case for the past few weeks. Solskjaer is still mulling over the fitness of Nemanja Matic and Ander Herrera, while Marcus Rashford is likely to spring back from his ankle issue and start for the game. This leaves Matteo Darmian, Antonio Valencia, Alexis Sanchez, and Eric Bailly as the obvious absentees for the game. Incidentally, while the Chilean is free from injury and back in training, he hasn’t regained enough form to play against his former side. A disciplined backline and a creative Paul Pogba will be crucial if United are to end the game with a positive outlook for the second leg. It won’t be a tough encounter for the Catalan giants, not when one views the rampage with which they’ve taken on other sides in recent weeks. The La Liga giants are unbeaten in 6 games, and Lionel Messi is a man hungry for more goals. In terms of injury, they’ll be without Rafinha and Dembele, with the latter unlikely to be risked this early into his recovery. All in all, they will be looking to score goals early and cause an upset, with the drama against Roma and PSG in the past two seasons not something they’d wish to replicate.